Each of them are made from 44 individual parts. We work with our hands and it took us a year to get it right. You only need a screw driver to assemble it back. We are only able to make limited editions. And…these are handcrafted in India by Indian craftsmen. So what do you think about our scooters? 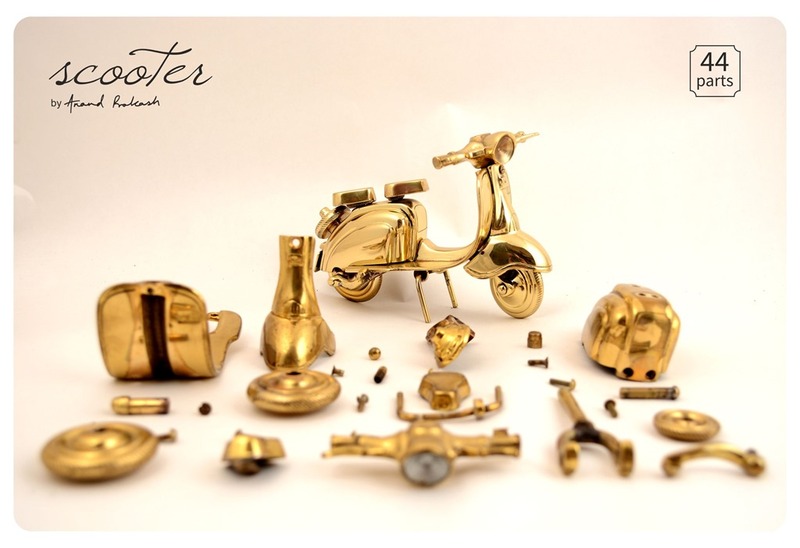 This entry was posted in Whats New and tagged Accessories, Anand Prakash, handmade, Miniature, Scooter. Bookmark the permalink.